Adenan has ‘squeezed’ 13 authorities from Putrajaya in the first phase of negotiation on state autonomy. THE past leaders had compromised and agreed to the terms, caveats and safeguards. They had inked their signatures on the Inter-Governmental Committee Report (IGCR), the Malaysia Agreement 1963 (MA63) and approved the amendments to the Federal Constitution in accordance to Annex A of the MA63. Yet, for more than five decades, the past leaders of the Central government had reneged on the IGCR and the MA63. The IGCR, which forms the basis for the construction of the MA63, is very clear in as far as the type of caveats and safeguards provided to the Borneo States — and agreed to by all parties — is concerned. The people in the Borneo States have not been assertive in making demands for their rights as per the IGCR and the MA63. Their unassertiveness could be that they were ignorant of their rights or clueless that these rights are enshrined in the IGCR, the MA63 and the Federal Constitution. The MA63 is the constitutional agreement made on the basis of whatever have been agreed to in the IGCR. It is an international document — not simply an agreement the Central government can ignore. Being a lawyer, Chief Minister Datuk Patinggi Tan Sri Adenan Satem must have understood the document implicitly — a document protecting the Borneo States that Putrajaya cannot mess around with. With the MA63 on his table, Adenan had begun to speak about Sarawak’s autonomy in June last year. “Full autonomy was the status we had before September 16, 1963,” he was quoted as saying. And today, he still takes the lead in trying to get back what rightly belongs to the State. His bold move was lauded by Sarawakians from all walks of life. Many, especially those who have read their rights in the IGCR and MA63, regard Adenan as the first and foremost Sarawak leader who really fights for Sarawak’s rights. His endeavour has also received the thumbs-up from leaders and activists in Sabah, our neighbouring Borneo state. Sabahans say Adenan has done a great thing by inviting Putrajaya to the negotiation table in a ‘gentleman’s way’. 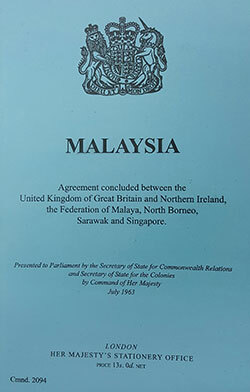 The Malaysia Agreement 1963 (MA63) is an international document. 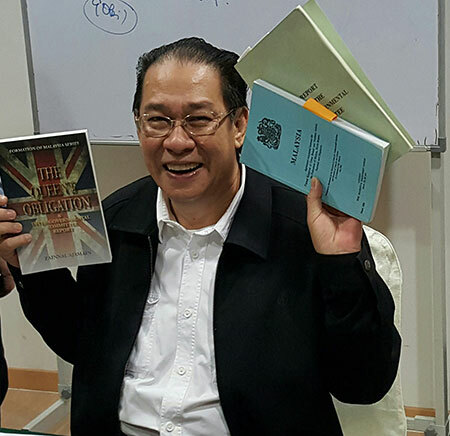 Zainnal Ajamain, author of a book ‘The Queen’s Obligation,’ praises Adenan for awakening the federal government to the need to comply with the wishes of the people of Sarawak and their safeguards as enshrined in the IGCR and the MA63. Zainnal, who is also a passionate activist, promoting the formation of Malaysia and the MA63, noted that leaders in the two Borneo states had tried many ways to broach the question on autonomy through earnest dialogue since 1966. “But when they used a rebellious approach, a state of emergency was declared in Sarawak. When they tried to use a patriotic way, the Internal Security Act (ISA) came. When they used local political parties to fight against the Malayan bosses, Umno came to Sabah,” he noted. “Now, the Borneo states have learnt from mistakes and Adenan is doing the right thing by using the ‘gentleman’s way’,” Zainnal added when asked to comment on Adenan’s success in inviting Putrajaya to the negotiation table. 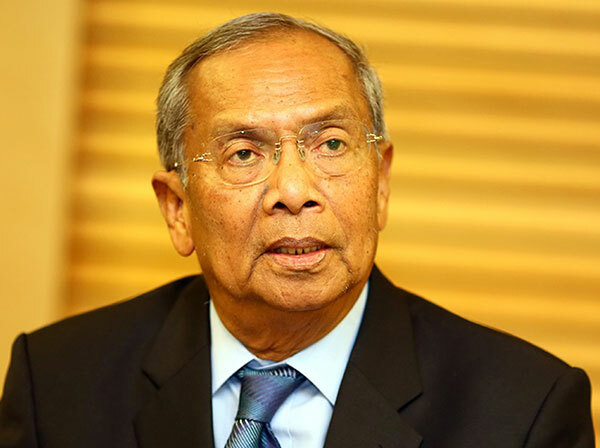 He believed Adenan knew Sarawak’s advantages and Malaya’s disadvantages, stressing the Chief Minister has chosen the right approach and the more appropriate term to describe Adenan’s way is a ‘structured negotiation’. Moreover, he said, Adenan did not use the 17 or 18 points agreements which do not have locus standi. Zainnal said the MA63 is the most powerful document in Malaysia, adding that it is an international agreement and, therefore, whatever has been written in it cannot be amended by any parliamentary sitting in Malaysia. He pointed out that the MA63 must be obeyed and if Putrajaya refused to abide by it, Sarawak could drag Putrajaya to London. In such an event, according to Zainnal, Sarawak can stand on its own feet. Even if it may not be ready, he said, Sarawak still has other alternatives. Zainnal shows his book titled ‘The Queen’s Obligation; the MA63 and IGCR documents’. Zainnal noted that Malaysia was constructed as a ‘trust’ with the United Kingdom as settler, the Federation of Malaya as trustee and the Borneo states as beneficiaries. Therefore, he pointed out, Sarawak is a beneficiary in a federation, explaining that the Federation of Malaysia is more a ‘trust’ — not a country. Zainnal said realising the aforementioned implications — what Sarawak can do and what Malaya cannot obstruct or prevent — Putrajaya could not consider Adenan’s ‘gentleman’s way’ as of little value or importance. He pointed out that Adenan, representing the state government of Sarawak, is inviting Malaya for negotiation and negotiation is between two nations and not between a nation and a state because in front of them, there is the MA63, an international document. Also, contrary to the opposition’s views, Zainnal said, at his age, Adenan did not need to fish for votes, so it should not be politicised, adding that the Chief Minister was just doing the right thing that the people of the Borneo states should be doing — and therefore, all Sarawakians should give him their full support so that he could proceed with his ‘structured negotiation’ to get back Sarawak’s autonomous rights from Putrajaya. He pointed out that the power of the DUN is crucial because only the DUN can empower the State to make its demands to Putrajaya. Zainnal also said Putrajaya did not have in writing Sarawak’s demands because if it had with regard to the issue, Sarawak would have become more advanced than other states, including Kuala Lumpur. Does Putrajaya want to fulfill the demands made by Adenan? 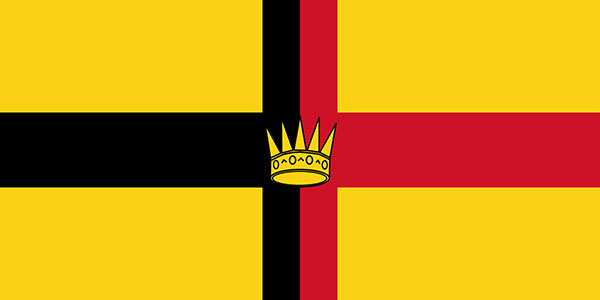 The flag of the Kingdom of Sarawak, with a five-pointed crown located in the centre was used between 1948 and 1973. Political analyst Datuk Peter Minos believed Adenan’s boldness in opening negotiations to get back Sarawak’s autonomous rights had made many people in the State proud to be Sarawakians. He said based on the information he gathered during his recent one-week tour to Limbang, Miri, Bintulu, Sibu and other smaller places, most ordinary people of all races were looking forward to Adenan’s success in getting Sarawak’s rights back from Kuala Lumpur. Minos noted Adenan’s fight for state autonomous rights had gone down very well with Sarawakians. Despite what the critics say, Adenan has started reaping what he has sown. Following his negotiations with Prime Minister Datuk Seri Najib Tun Razak last month, Putrajaya has agreed to delegate powers to Sarawak officers, representing the Public Service Commission (PSC) and the Education Service Commission, to fill these vacancies. They include appointments of teachers, doctors and medical officers. The new powers mean Sarawak need not wait for Putrajaya’s approval to have these posts filled. During the first negotiation, Adenan managed to squeeze some 13 authorities from Putrajaya. One is that the State Attorney General (SAG) now has the full power to decide prosecution of cases for offences under State Ordinances. Previously, this power lay solely with the Federal Attorney General. Putrajaya has also agreed the ratio of Sarawak-born teachers serving in the State will be increased to 90 per cent by 2018. To ensure this target is achieved, temporary teachers will from time to time be considered for Diploma in Education courses while teaching. Another major agreement is that the federal Welfare Department in the state will be merged with the Welfare Department and that the state will carry out all functions under the Welfare Department. All posts will be transferred to the state Civil Service with federal staff having the option to join the state Civil Service. The federal government will contribute 50 per cent towards the costs incurred as decided by the National Finance Council. The second phase of talks which will include Sarawak’s rights and autonomous position in Malaysia under the Constitution, the IGCR and the MA63, will start soon. The third and final phase will focus on the demand for a hike in oil and gas royalty (from the current 5 per cent to 20 per cent), the validity of the Territorial Waters Act and Petroleum Development Act. 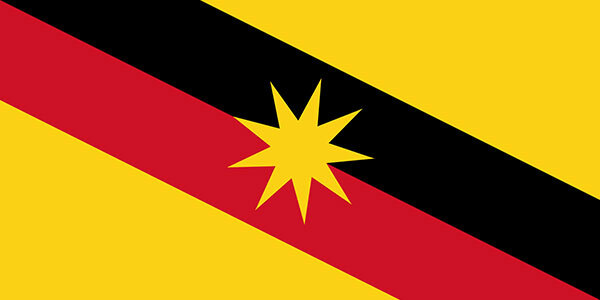 The current Sarawak state flag has been in use since 1988.